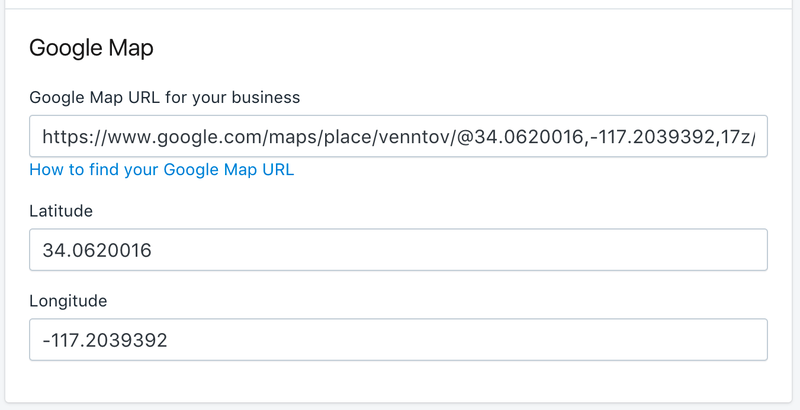 To find your Goole Map business URL, go to https://maps.google.com, and search for your business name. If your business is not found, enter your street address. The URL in your browser is the URL that you will need to copy and paste into the "Google Map URL" field in SEO Manager.